With the last long weekend of the summer upon us, many Canadians flock to cottage country with their sights set on soaking up the last bit of summer warmth. The extra day tacked on at the end of the weekend provides the extra bit of incentive for families to rent a cottage for a few days and explore the wilderness. It can be a bit of a culture shock for families that aren’t quite acclimated to rural life coming from urban environments. 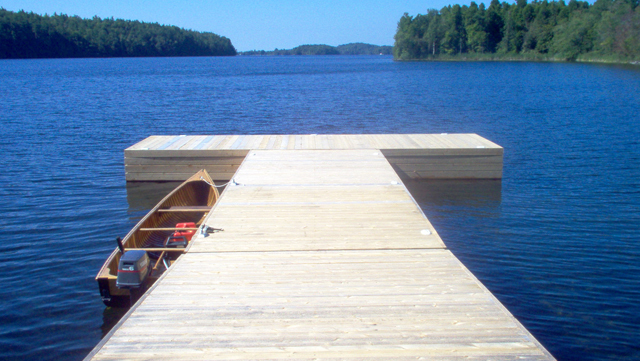 While it is a blast of fun being out on the water all weekend long – cottage life is a completely different landscape. Before loading the family up in the minivan to head north, reacquaint yourself with necessary cottage safety tips to ensure your weekend is safe and fun! Conduct a thorough overview of your car’s lights, signals, tire pressure and fluids before the trip to the cottage. It’s also wise to stock up on snack and supplies to keep a happy crew. Check your first-aid kit and replace any missing supplies. If you’re renting someone’s cottage, don’t assume that they have everything there ready for you. It’s smart to come prepared than having to scramble and find supplies in the area. Check and maintain cottage smoke detectors and CO detectors. Check the condition of the boat(s), including fuel lines and tanks. Check that all required safety equipment is on board and in good repair. Police heavily patrol local lakes on long-weekends, so make sure that your boat is complete with enough lifejackets, paddles, flashlights, whistles and bailers. Remove dry leaves and debris from the cottage roof and/or eavestroughs to reduce fire risk. Do a quick survey of the property to clear out any fallen branches or anything that is covering walking paths. Prepare for extreme weather events — create a family emergency preparedness plan for the cottage. Assemble a disaster safety kit for your cottage and car. Talk to your neighbors and plan ahead for emergencies by identifying vulnerable people and potential community volunteers. This may already be set in stone if you’ve owned the property for some time, but if you’re there renting, it wouldn’t hurt to have that conversation with them. Drink responsibly. Do not consume any alcohol before taking a pleasure craft out. It’s also wise to limit alcoholic beverages before swimming in the lake. 10. Make sure everyone is comfortable with their swimming levels and monitor swimmers in the area. You deserve to be safe when you’re visiting a private residence, such as a rental cottage. Laws exist outlining what the owners or occupiers are liable for, thus the name “occupiers’ liability.” If you have sustained an injury as a result of a slip and fall caused by the condition of the property, you may be entitled to compensation. Our lawyers at Graves and Richard are highly experienced in representing victims seeking compensation from occupiers’ liability claims.